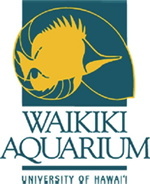 Join us Wednesday, February 13 in the Waikiki Aquarium classroom for a seminar on the discovery and exploration of Lōʻihi volcano. Terry Kerby, Chief Pilot for Hawaii Undersea Research Laboratory (HURL) since 1981, has completed hundreds of submersible dives around the Hawaiian Islands and Central Pacific. He will provide a pilots perspective on the discoveries and challenges of diving on an active undersea volcano. Discovering Lōʻihi, will cover the history of exploration on Lōʻihi volcano over a 17 year period from 1987-2016, with the University of Hawaii Pisces submersibles. The Pisces subs have made a total of 174 dives to Lōʻihi from 1987-2016 in which time there have been some drastic changes to Lōʻihi. Terry Kerby will cover some of the highlights over the years of exploration. Search for night-active crabs, lobsters, eels and octopuses.Look for sleeping parrotfishes, triggerfishes and day octopus in their dens. 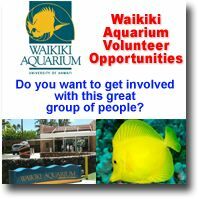 For the adventurous, ages 6 years and up; youngsters must be accompanied by an adult.Participants should be comfortable in the ocean, both day and night.$20/ adult, $15/child and $15/$10 for members. 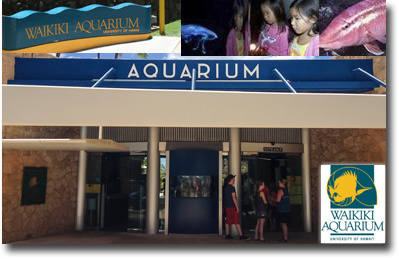 Sharks, turtles, and seals are just some of the animals that will be highlighted in these classes for kids. 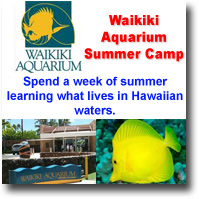 Keiki will learn about sea creatures through crafts, singing, storytelling, dance and play.Designed for kids 1 to 4 years-old.$10/person, $6/member.